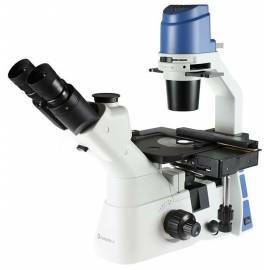 Microscope trinocular inverted Oxion OX.2053-PL with stage mechanical PL 10/20 / 40x, 5 W NeoLED ™and with carrying case. Head trinocular, inclined 45 °. Adjusting the interpupillary distance on the tube-holder left eyepiece • The interpupillary distance is adjustable from 54 to 75 mm • Output trinocular upright for photo/video and selector image 100:0% and 80-20%. Revolver holder objectives quintuple oriented towards the interior. • Objectives long working distance (LWD) Plan with correction to infinity. Factors of increased 10x/0.25, 20x/0.40 and 40x/0.60. 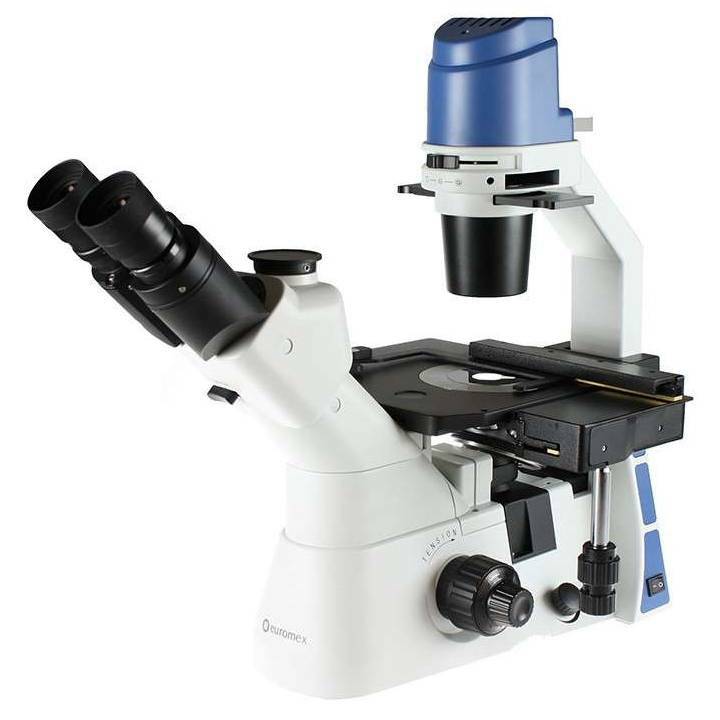 Controls, macro focus and fine on-axis coaxial. Precision 2 μm, a total distance of approximately 24 mm. · Metal plate for Ø 35mm for the crop. · Plate for fastening of preparations of 76x26mm. A. N. 0.30 iris diaphragm. Working distance 72mm. Transmitted 5W LED with adjustable intensity and internal transformer for 100-240V power. Fuse 3.15 A / 250V. Supplied with power cable, cover anti-dust and manual of instructions.